It's so good when I finally get round to visiting a restaurant that I've been meaning to go to for ages and it lives up to the high expectations I had of it - always a relief....!! 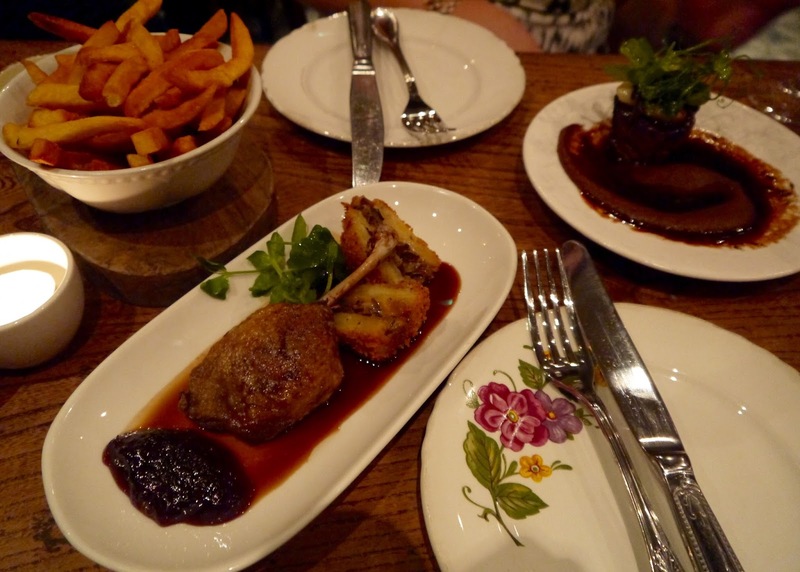 Emily and I went to check out the cutesy little French restaurant Blanchette, in Soho, that I'd heard so many good things about but still hadn't got round to going to. 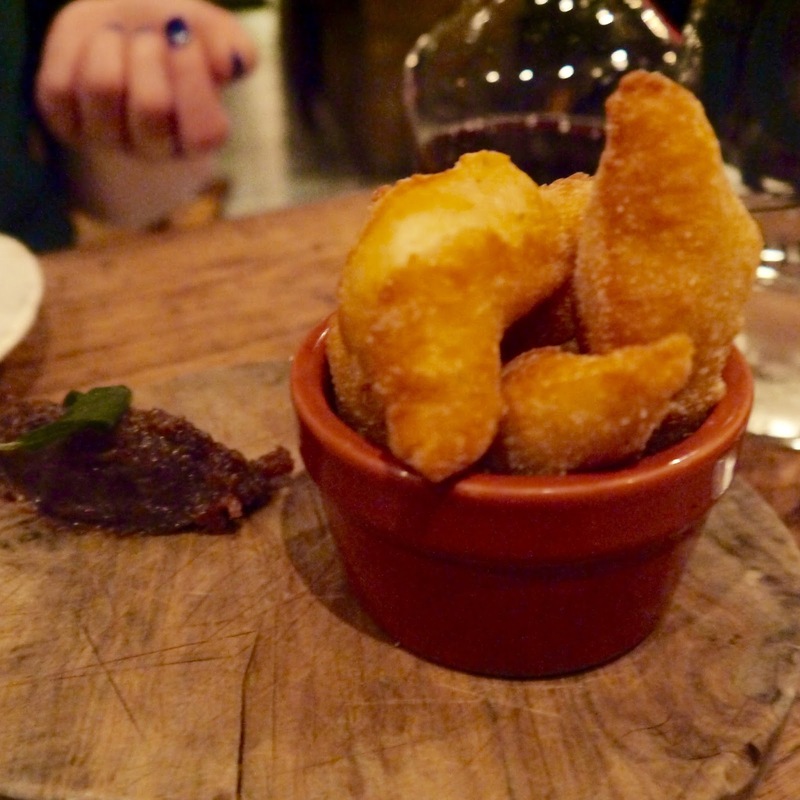 Blanchette is a French bistro on D'Arblay Street that's beautifully romantic/lit by candlelight/awful for photos and serves up small French family dishes alongside charcuterie, cheeses and excellent French wines. You're encouraged to order for the table and share dishes, though there were so many utterly delicious plates, I really wanted to eat all of some of them myself! We started with one of their signature dishes - crispy frog legs with Bois Budran sauce - whole frog legs that had been breaded and deep fried, which were actually a little tricky to eat. As the leg is whole, it's still on the bone. I'm not sure if we tackled them wrong, but we both ended up with mouthfuls of frog leg meat and bone. Not our favourite but luckily not a sign of things to come as the rest of the plates of food that came out were spot on. 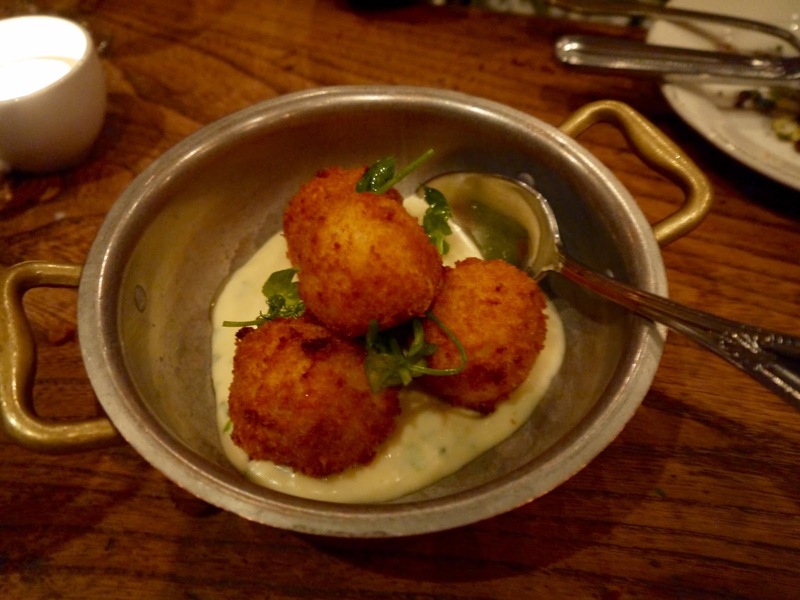 Smoked haddock croquettes "a la Arnold Bennett" - deep fried, smoky balls of fish on top of a chive laden creamy sauce. A contender for favourite dish of the night. 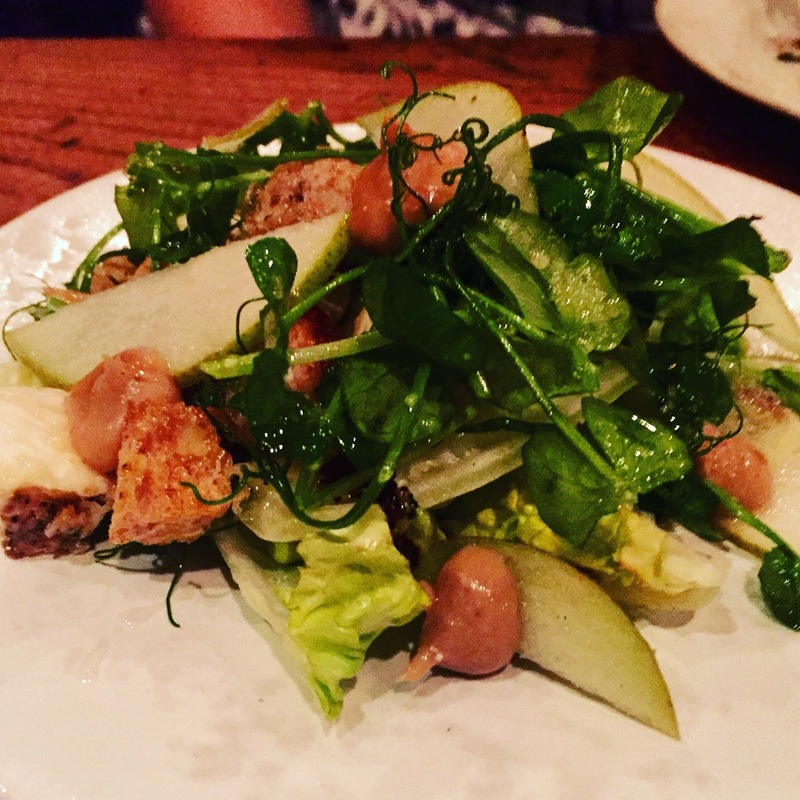 Another contender for favourite dish was the truffled Brillat-Savarin salad with charred lettuce, pear, chestnut and honey that was so fresh yet rich and totally moreish. 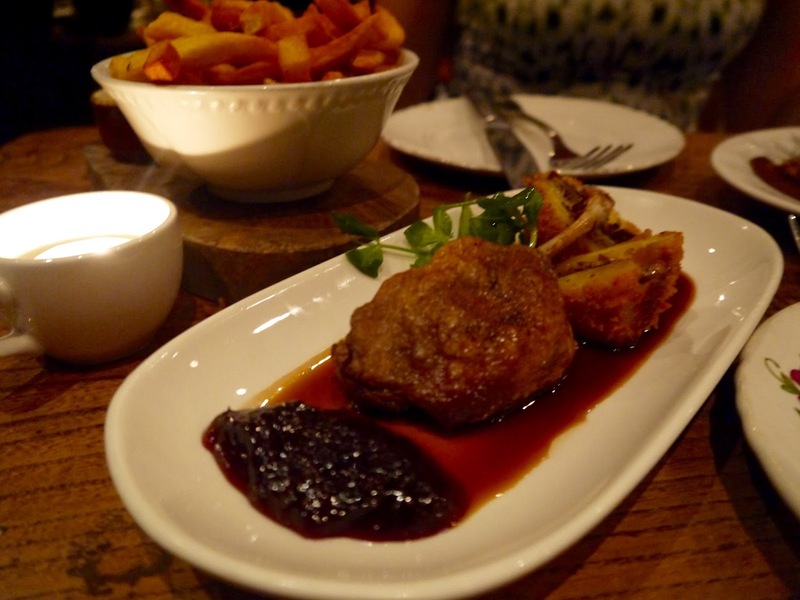 From the "meat" section (the more substantial dishes are split into meat, fish and vegetables) we had confit duck leg with cep, potato dauphinoise and redcurrant jam - the potato dauphinoise had been cut into a square, breaded and deep fried and was heavenly. As was the confit duck. And finally, apart from the cheese which I'll get to, the braised lamb shoulder with anchovy and rosemary, which fell apart with the touch of a fork and was devoured despite having eaten every last morsel of all the other plates of food. And the chips with bernaise sauce. For pudding we had two pieces/blocks of cheese - unanimously deciding on the Bleu des Basques and the Morbier, both of which were excellent. 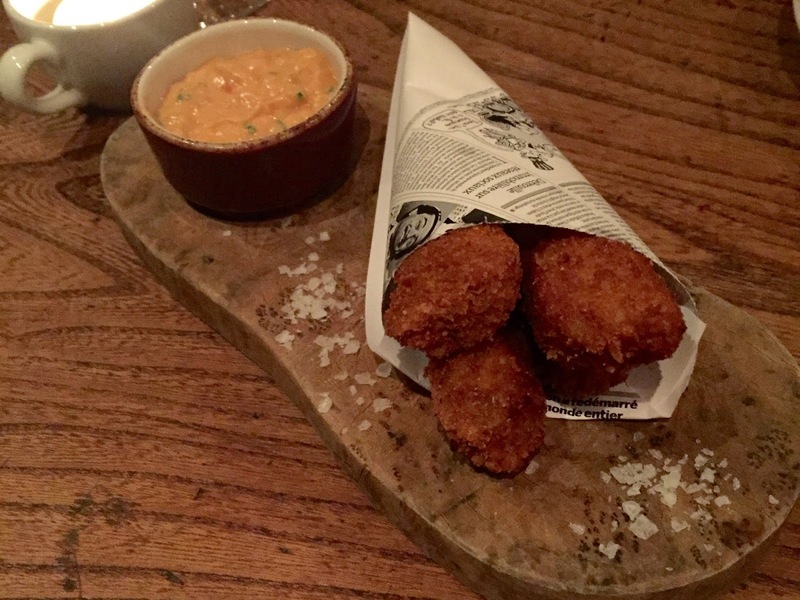 Blanchette really know about good food, and the quality and provenance of the ingredients, paired with the fantastic cooking of those ingredients, means many wonderful plates of food. The plates range from £4-10 so you can go for a little, and very affordable snack, or go all out like we did and still not break the bank. Full info/menus/address is on their website here. Glad to know it lived up to your expectations... and now I'm more curious to try it out! It's been on my hitlist for the longest time! Do it :) was super impressed. 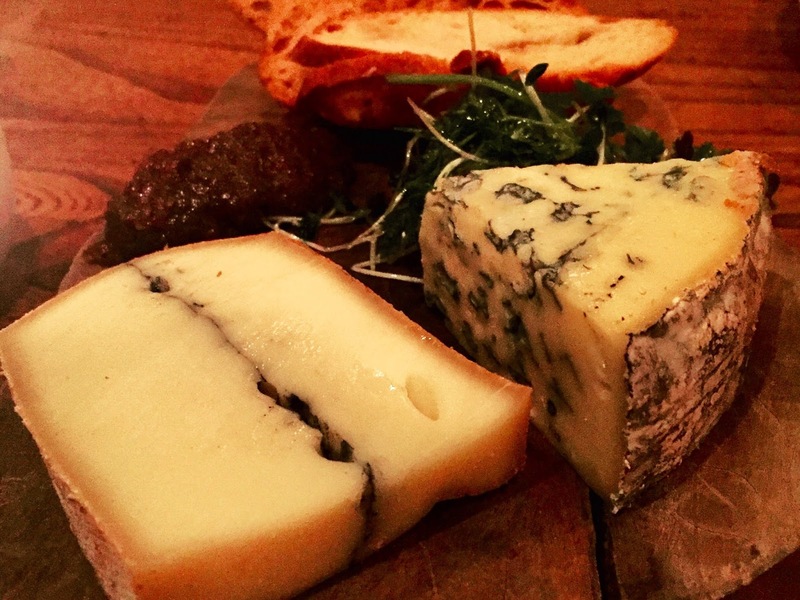 Cheese is always good! All the food there was amazing.